Compact executive memo pad with chrome pen and elastic closure. 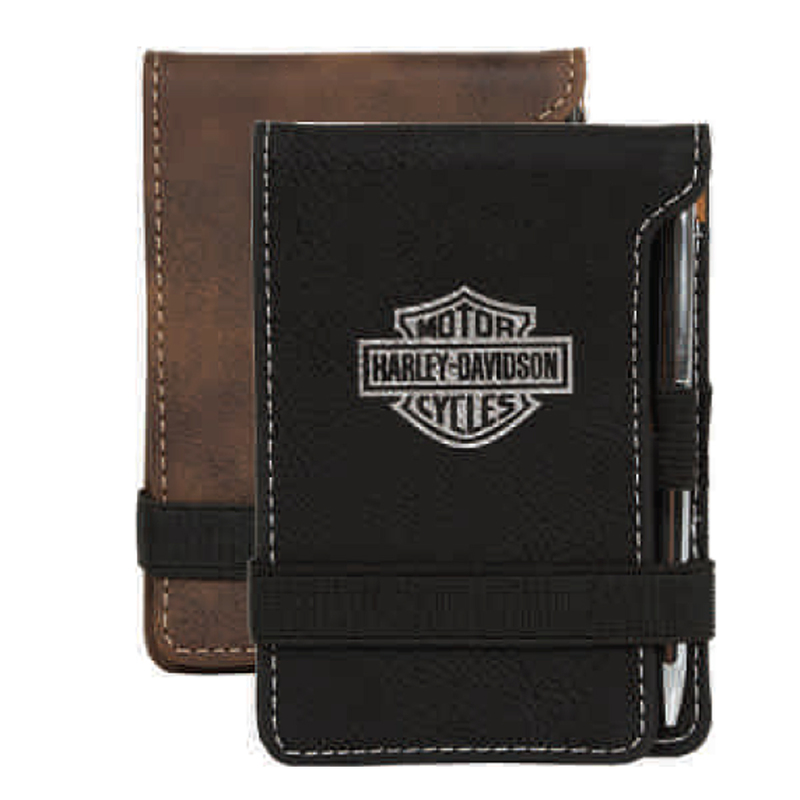 Plain paged memo pad included inside with additional card pocket on inside flap. Sueded Leatherette is made using PU material and is decorated using a special laser that removes the surface colour from the material. A secondary metallic colour has been hidden under the surface layer which is exposed during decoration. Black material reveals a metallic silver colour and the Brown material reveals a metallic gold colour. Individually packed in AGRADE muslin drawstring bag and black shiny gift box. ?Material: Sueded Leatherette (PU) Colours: Black or Brown, Dimension: 120mm w x 85mm h. Price includes : 3 Day Service* Laser Engraving - One Location. Setup is included.